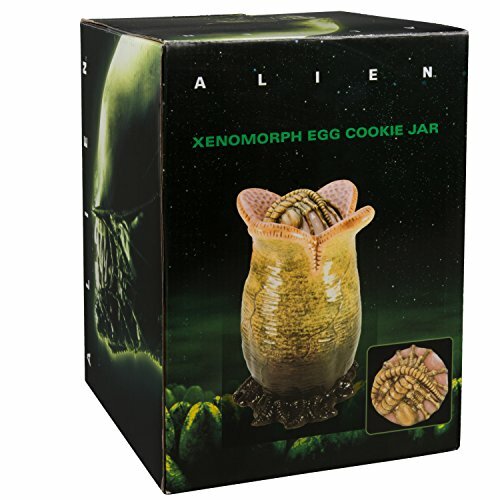 Alien Facehugger Egg Cookie Jar - Moar Stuff - You don't need it but you know you want it. Ceramic cookie jar and lid measure 9" by 5.5"
In space no one can hear you take the last cookie! 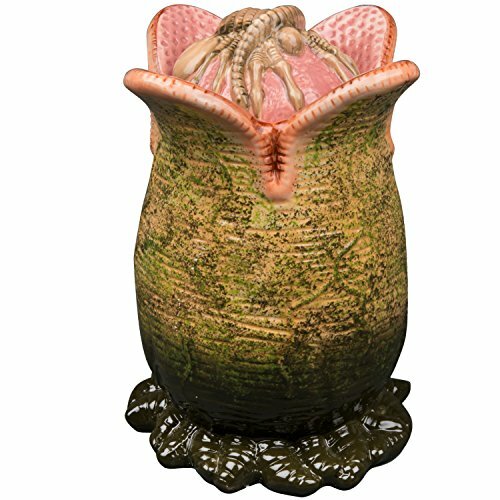 This Facehugger Egg Cookie Jar (Buy) from the movie Aliens is so realistically creepy that it might just help you achieve your diet goals. 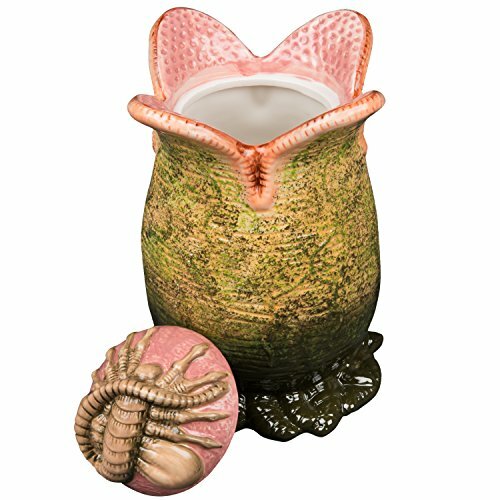 The ceramic Xenomorph Egg will look really cool sitting on your kitchen counter. 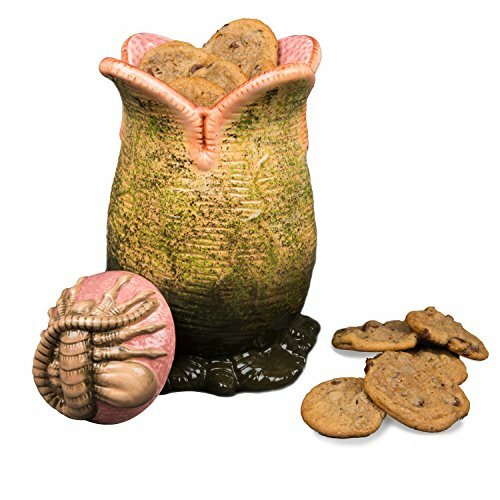 Instead of the deadly, coiled face-hugger, you can will it with delicious cookies. Wait, the little creepy guy is here too, nestled on top of your goodies and keeping them fresh for another day! Don’t worry, he’s made of ceramic too so, the only thing that might make your belly explode is eating too many cookies. Also, unlike the eggs in the film, depending on the duration and temperature, it may very well withstand a flamethrower. Mainly due to its ceramic construction. If you want to make it really cool, get a little bit of dry ice, a string of green LED lights, and a facehugger toy to put in it. That would also make it a really cool Halloween decoration. Remember, in space no one can hear you take the last cookie! Dimensions: 9 x 5.5 inches. 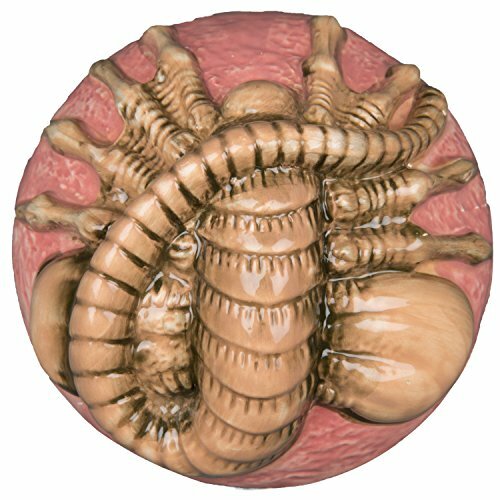 Material: Ceramic and not some sort of secretion… eww. Did IQ’s drop sharply while I was away? 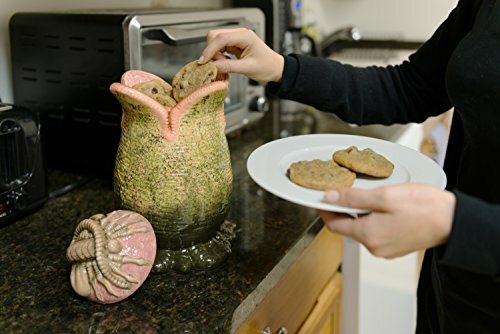 It’s not indigenous to LV-426 but, it will keep your cookies fresh. Not dishwasher safe (acid for blood and all that…).